The Union Public Service Commission is India's premier central recruiting agency. It is responsible for appointments to and examinations for All India services and group A & group B of Central services. While Department of Personnel and Training is the central personnel agency in India. Now you will get the UPSC homepage on the screen. Find and click on the UPSC Admit Card 2019 Download link on the homepage. Then, UPSC Admit Card login page will be displayed. Enter your Application ID and date of birth or Password details in the necessary fields. The UPSC 2019 Admit Card will be available to download. So, Download and take the printout of it. Last, attend the UPSC Online Test with your www.upsc.gov.in Admit Card. 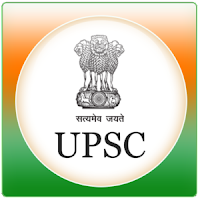 UPSC Admit Card 2019 – Call Letter: UPSC has recently released call letter for attending Written Exam for the post of Officer. Applicants who have applied for this post can download their call letter at below link…. GET FREE JOBS ALERT ON WHATSAPP. SAVE THIS MOBILE NUMBER (7405216685) ON YOUR PHONE AS JOBS ALERT. NOW SEND WHATSAPP MESSAGE "HELLO"